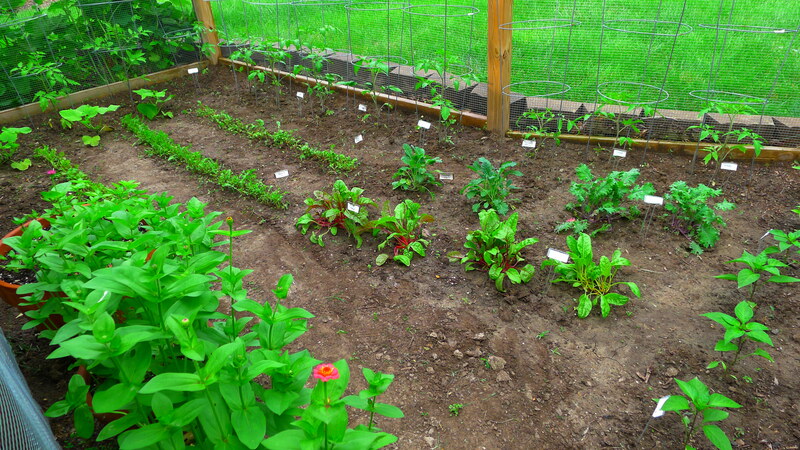 Welcome to the 2014 version of my veggie garden (as well as herbs and flowers). Seeded on 3/22/14, and transplanted on 5/28/14. 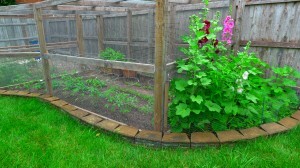 It started off as a cooler than normal spring so my seeds took longer to grow seedlings large enough to transplant. Currently the weather has been perfect… not too hot, good, soaking rain showers w/ dry days in between. 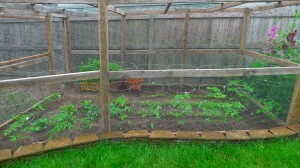 Fingers crossed for another great growing season! 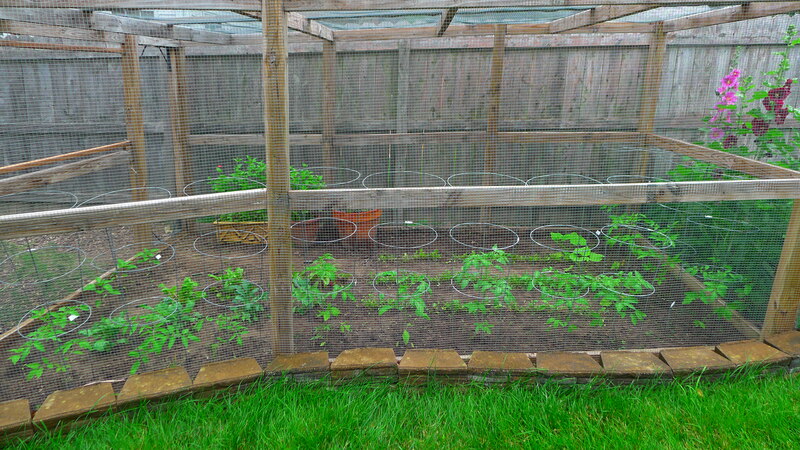 This year I have 12 tomato plants (3 Black Krim, 3 Pineapple, 1 each of Gold Medal, Brandywine, Crimson Carmello, White Tomesol, Roma (Pompeii), and Speckled Roman; 6 jalapeno plants (3 Early Jalapeno and 3 Jalafuego); 2 types of basil – Siam Queen and Italian Large Leaf; 4 chard (3 Ruby Red and 1 Pot of Gold); 4 kale (2 Nero Toscano and 2 Red Winter) and I direct seeded 3 butternut squash (Waltham). 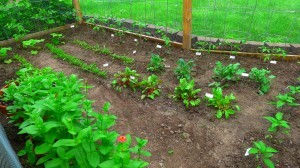 I also direct seeded 4 types of lettuce – baby mesclun, wild and regular arugula as well as a spicy micro green mix. On the flower side I again have a variety of tall zinnias which got leggy because I waited too long to transplant, and I direct seeded some shorter zinnias (Lilliput Mix) in pots in the enclosure. I think I’ll direct seed the tall zinnias next year to avoid the problem I had this year. 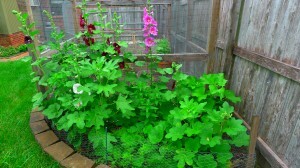 Some of the Hummingbird Haven mix I direct seeded last year returned this year. 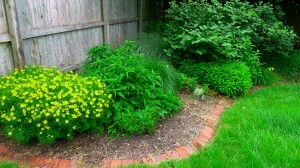 I supplemented this section of the garden w/ cosmos and Bring Home The Butterflies mix. 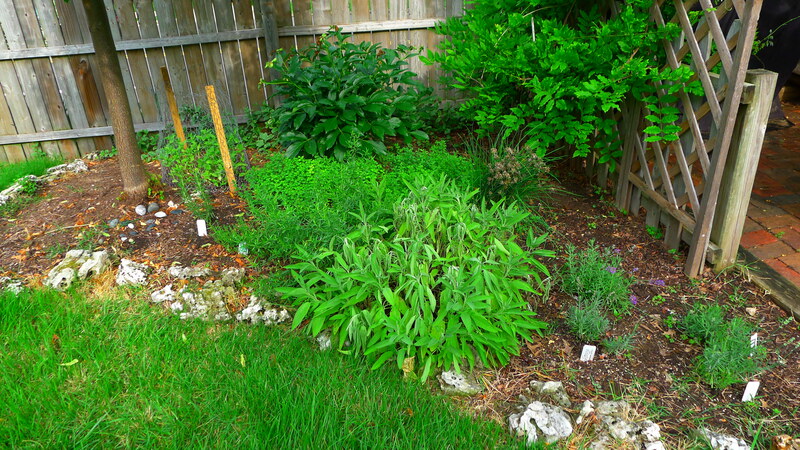 I added some new lavender plants this year because most of my old lavender plants didn’t survive the harsh winter. Also in that section of the garden I put in new rosemary and thyme plants. Ahhh, the joys of summer! I’m feeling very jealous. Still have not figured out the gardening thing at the new house, but I’ve pretty much decided I’m going to have to use a greenhouse to get much of a harvest up here on the side of the mountain! 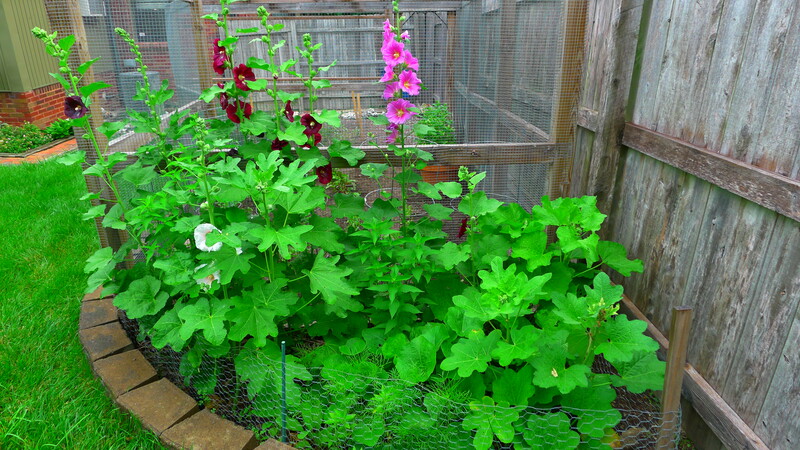 Too many animals, plus the growing season is much shorter. Still trying to decide just how to make that happen. 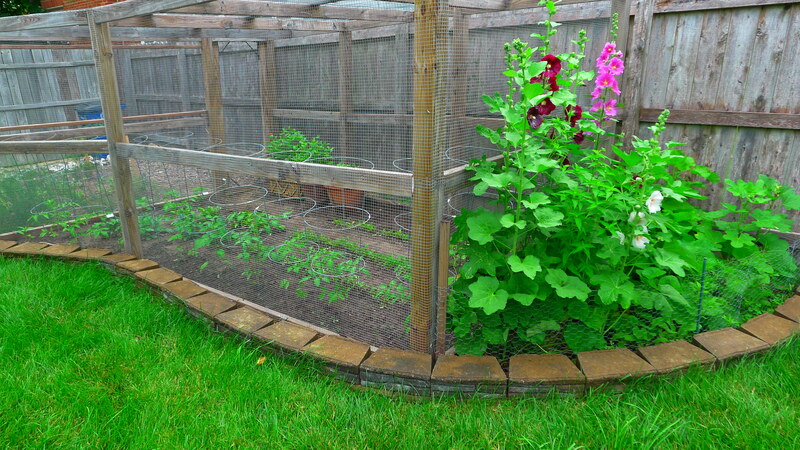 Sounds like a greenhouse is your best bet to lengthen your growing season and keep the critters out. I didn’t realize your new house was at such a high elevation.